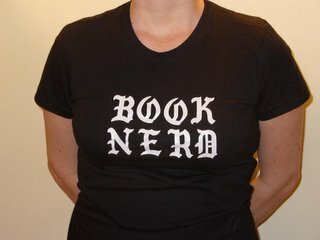 You can read my (somewhat abridged) report from New York Comic Con in today's Shelf Awareness. I had a great time, but I know I only saw a tiny "swath" of what was going on over the weekend, and some of the other 77,000 fans who attended have been reporting back as well. 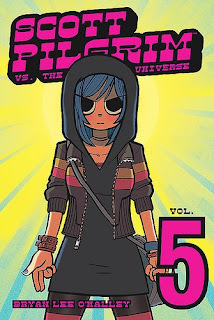 Douglas Wolk & crew report on Scott Pilgrim #5 and other "big books" that were selling at NYCC in the fabulously titled Publishers Weekly piece "Scott Pilgrim Wins the Convention!" MediaBistro's GalleyCat blog asks "Can You Sell Comic Books In This Economy?" -- and the answer from the Con seems to be yes. (Great wookie picture, too.) They've also got a video interview about Pride and Prejudice and Zombies with an editor from Quirk Books, and some other vids from the Con. Via Journalista (which has TONS of comics links), an thought-provoking piece on the Con and the comics industry that evokes Gifted and Talented class on the blog The Factual Opinion. I'm sure there's more out there, but this should give you a little comics fix for today. Below, my favorite picture from Comic Con: a member of the Black Hawk Squadron. This series is a favorite of the ALP's dad, so I ran up to the guy and asked if I could take his picture; he calmly obliged by posing in appropriate fashion for a WWII flying ace. Comics makes the world a cooler place.